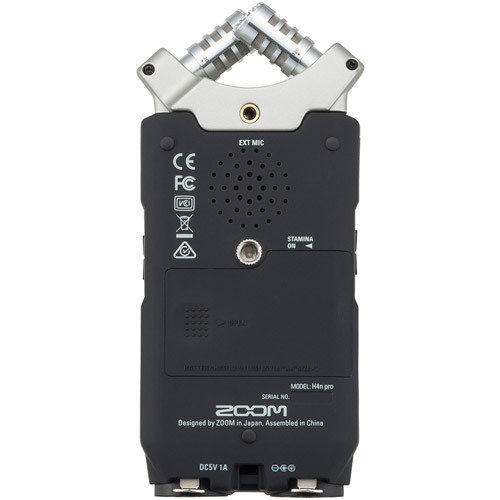 Zoom is always developing new ideas to improve the performance and function of their Handy Recorders. 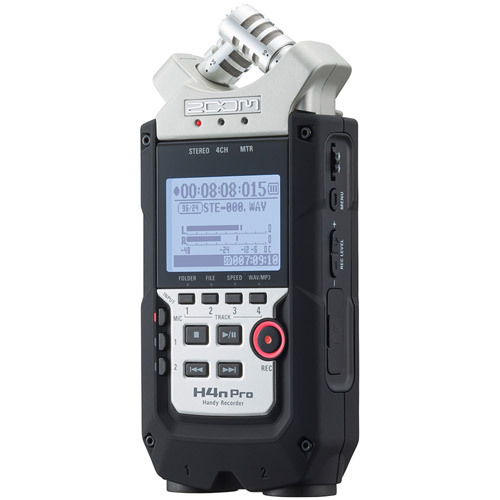 With the new H4n Pro, they've taken everything creators love about the H4n and brought it to the next level. 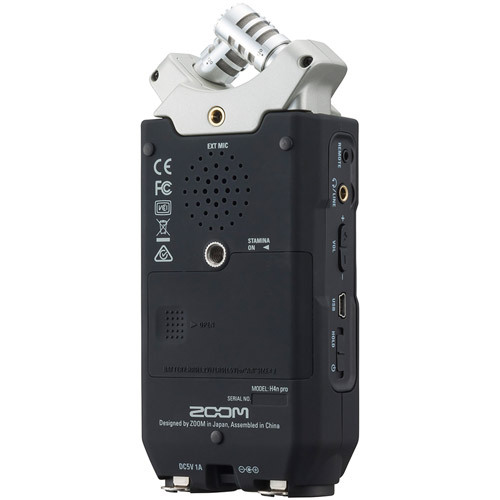 The Pro features the same high performance, low-noise mic preamps as the acclaimed Zoom H5 and H6 Handy Recorders, with recording and playback at resolutions up to 24-bit/96 kHz. 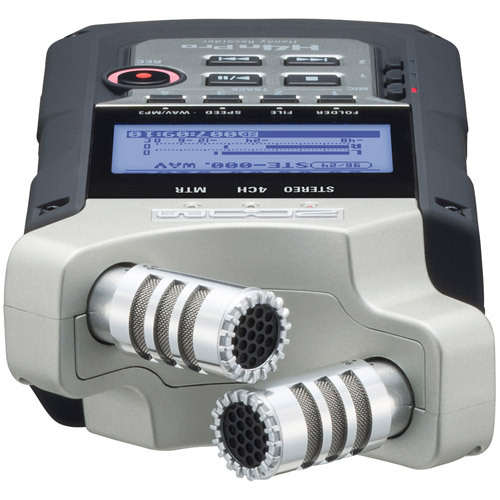 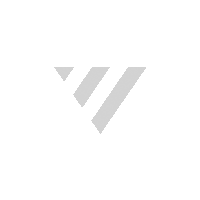 The improved noise floor (-120 dBu EIN) captures audio at lower volumes with less noise and fewer artifacts. 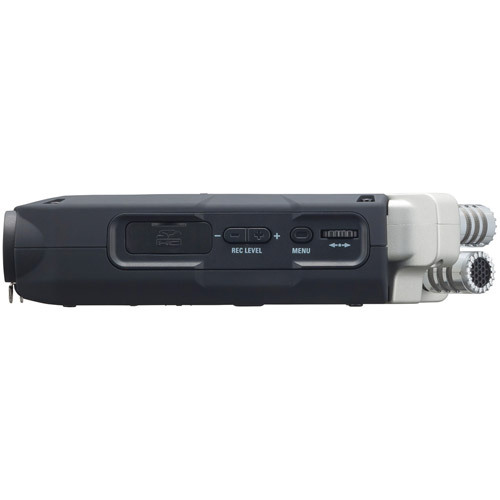 Uses the built-in X/Y microphones (or external mics) and is convenient for recording live performances, acoustic instruments, dialogue, and more. 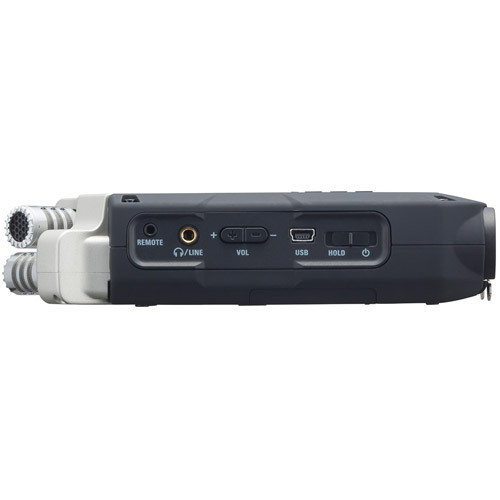 You can record with the built-in X/Y mics and two external inputs simultaneously, great for getting live room sound and a stereo board feed at the same time. 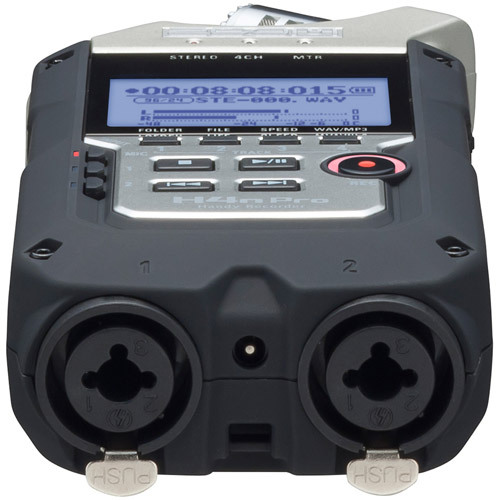 Turns your device into a four-track studio, with built-in effects, overdub functions, and the ability to work with previously recorded sound files. 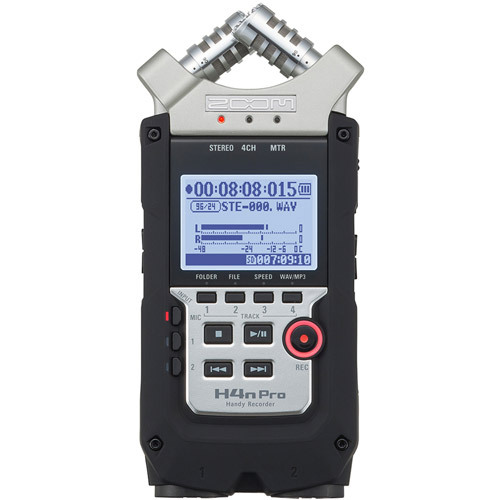 * One second when recording at 96k or working 4CH mode.